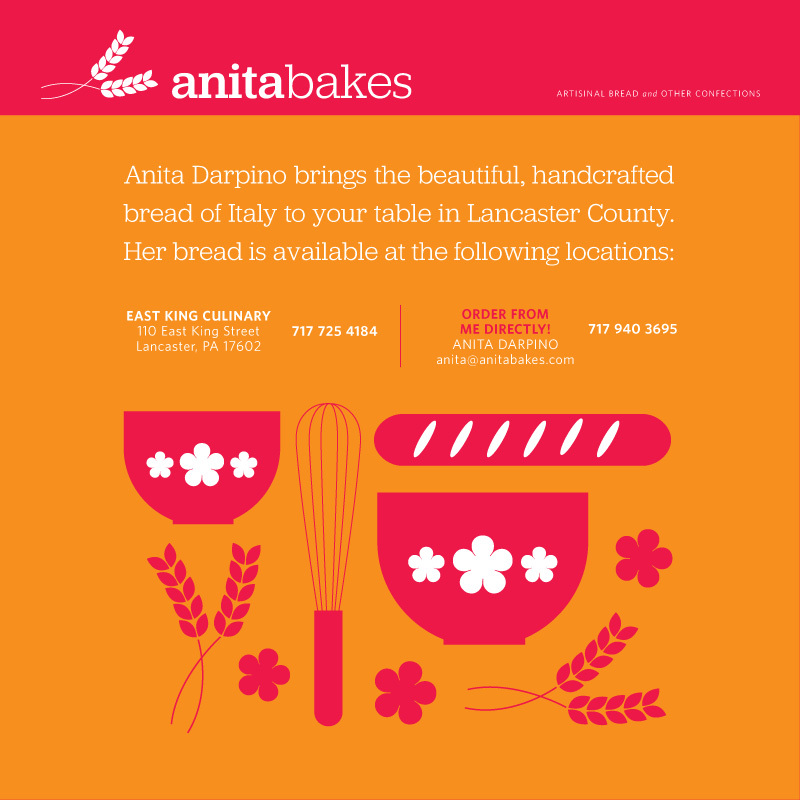 Anita Darpino first learned the art of bread baking as a hobby in her spare time as a practicing physician. 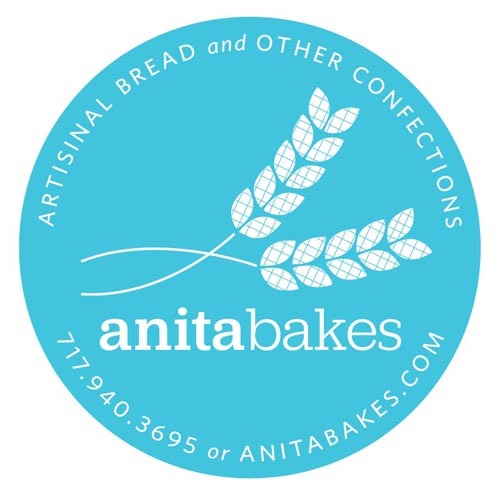 Now she creates various types of artisanal bread for farmer’s markets, grocery stores and shops. Her desire is to bring the craft of small-batch bread baking to Pennsylvania from her native Italy. The logo and accompanying website created with Leslie Mann reflect the warmth of Italy and the simplicity of the traditional art of bread baking which relies on only flour, water, salt, and yeast to produce something which is beyond terrific.